Fruzsi (pronounced froo-shee) is an Adelaide based artist, freshly returned from a year in Tokyo. 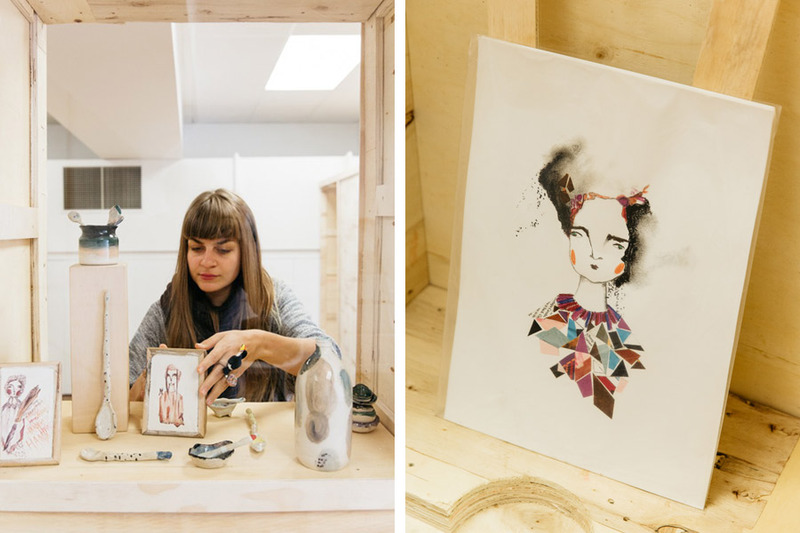 She is an artist and curator, best known for her quirky portraits on wood. Today we chat with Fruzsi about what inspired her work and her latest project, a capsule space at Brick+Mortar Creative Hub. How would you describe your style of artwork and how has this evolved? I would describe my original paintings as quirky lady portraits on wood panel, accompanied by other whimsical illustrations which I put on cards and prints. I also create lovingly crafted ceramic tableware which also features painterly strokes and landscape designs. My illustrative style has evolved over time to envelope many interests and inspirations which include the natural world, Japanese culture, faces and fruit. What is your background and when did you start illustrating? After high school I went straight to art school. I originally wanted to be a photo-journalist and work for the National Geographic, but instead I discovered my love for art history and chose to major in that instead. At the same time I began exhibiting in group exhibitions before embarking on a solo show in a bar in the city. 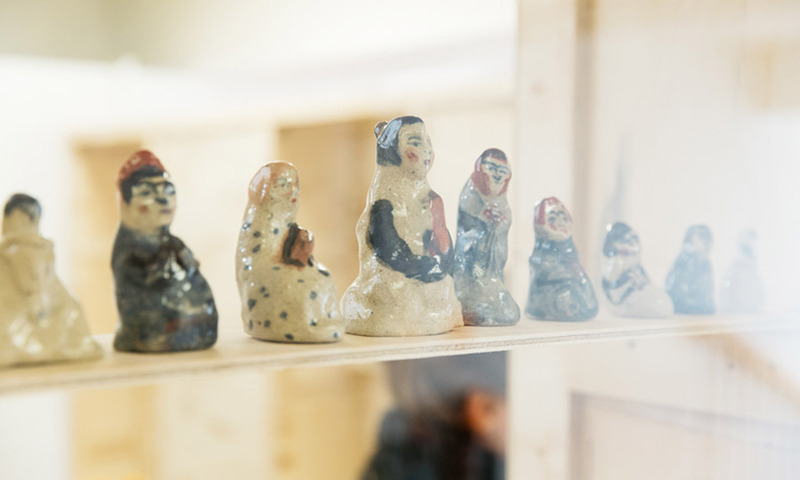 The exhibition was entitled ‘Veneer – the Dark side of Innocence’, and comprised of about 30 small framed wood-panels with accompanying stories. I ended up selling most of the work on the opening night. I fell in love with the rush of pulling together a show and giving viewers a memorable experience. Over fifty exhibitions later I still get butterflies in my stomach on the opening night! Who are you favourite artists? What inspires your work? 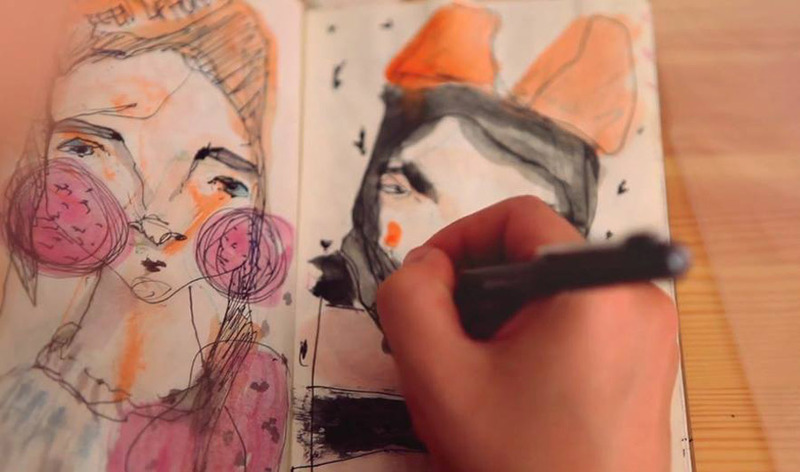 My list of inspiring artists begins with Egon Schiele, Audrey Kawasaki, Camilla Engman, Yelena Bryksenkova, J. M Turner and by no means ends with Quentin Blake, who’s illustrations of Roald Dahl books still brings joy to my heart to this very day. I also adore Shel Silverstein who wrote and illustrated his own poetry books. It has been a long-standing dream of mine to do the same. What materials do you prefer to work with and which ones would you like to explore more? My favourite materials to work with are paper, clay and wood. 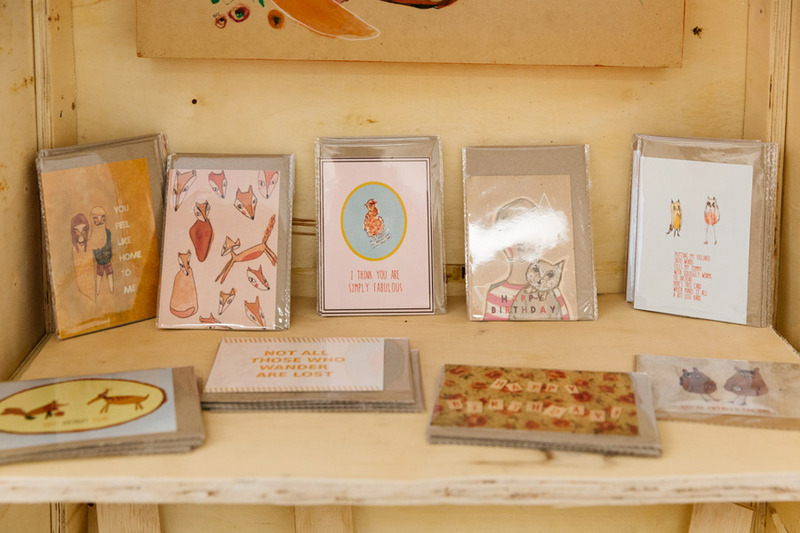 I love all things natural and organic, which is why all of my prints and cards are made with 100% recycled eco-linen stock, and paintings done on up-cycled wood panels which I box up myself. There’s something really special about working with these beautiful materials. They keep you honest. Clay is the medium that is most new to me, and as a result the one I am working with the most at this time. 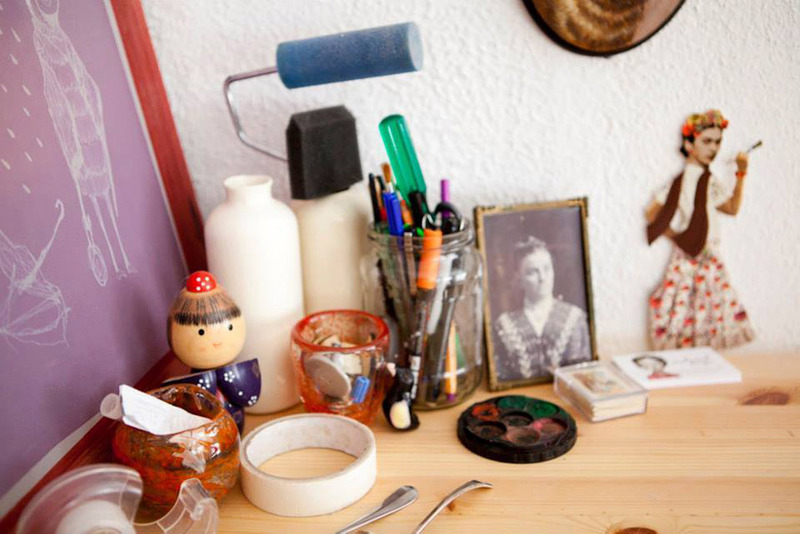 Describe your workspace and surroundings and what your creative process is. 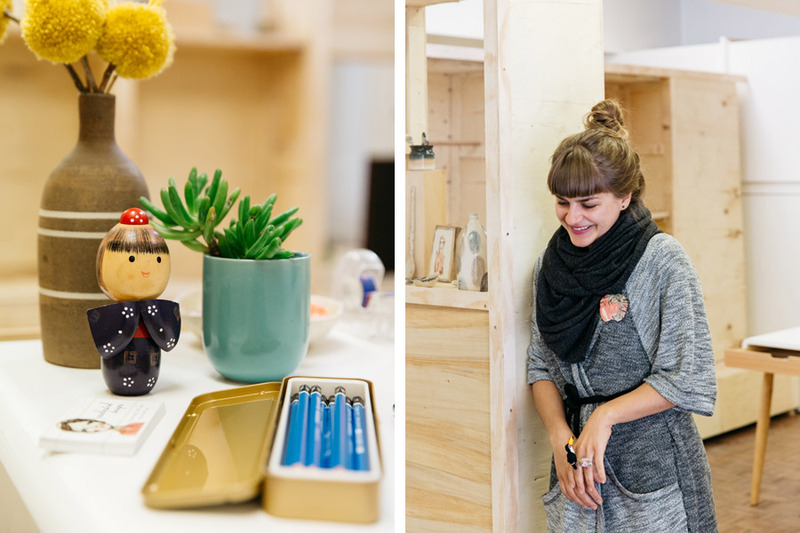 I currently have a capsule space at Brick+Mortar Creative Hub in Norwood, Adelaide. It is open Wednesday to Sunday and I do a lot of my work there. 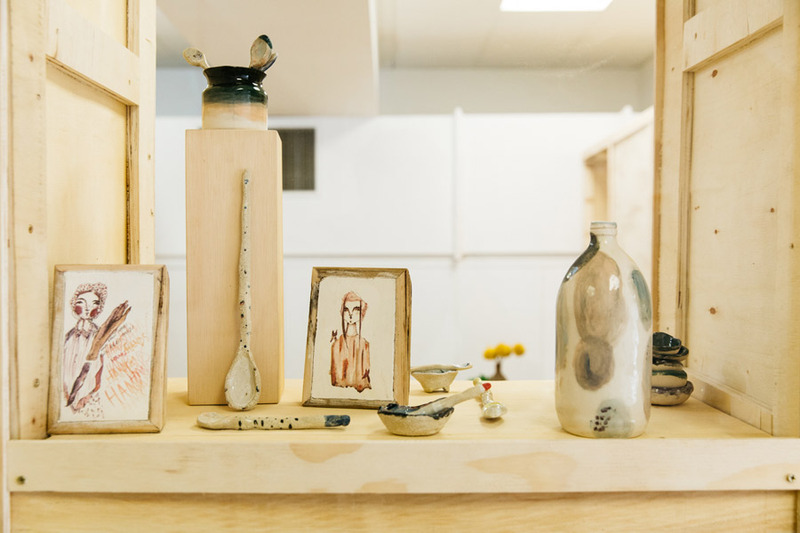 I meet with clients and run ceramic and illustration workshops. The really messy stuff I save for the studio, where I can let loose and feel super relaxed. My usual studio day would start with a cup of tea and a bit of stretching, checking emails over breakfast and then popping on a movie while I get to work. I often find elements of films I watch make their way into my paintings. I remember a particular painting ending up with a lot of potted plants inspired by Hitchcock’s Rear Window. What advice would you give others wanting to follow a similar path? I would advise creatives who are just starting out to get involved in their local art community. Get active, meet people and attend a lot of openings. I think that’s the best way to know who and what is out there. Support others and they will support you. And of course if you are looking to show your work I’d say start small, and cast your net wide. Approach cafes and pubs about exhibiting your work and take quality images of your pieces before they sell! Believe in yourself and others will too! What has been your favourite project or exhibition and why? My favourite project to date was Tiny Universes, an exhibition of leading international and local illustrators that I curated at Tooth & Nail Gallery in Adelaide in November 2013. It was about seven months in the making to get work from thirteen artists from around the world and it was totally amazing. The premise of the exhibition was that each of these artists have a unique style which draws the viewer into their kooky world. We transformed the gallery into a colourful wonderland and it was brilliant! I am hatching plans to curate Tiny Universes 2, so stay tuned for that! What aspirations do you have for the future, and where do you hope to see your work? I’m really enjoying running illustration and ceramics workshops at Brick+Mortar and hope to continue that for some time. I’m also excited to be coming to The Finders Keepers SS15 Melbourne for my first Finders Keepers (as a stallholder), and to branch out into bigger nationwide markets and get to meet other fantastic makers from around the country. Most of all I just hope to find better balance in my life, so I have quality work and play time, and feel really good about where I am in that moment.